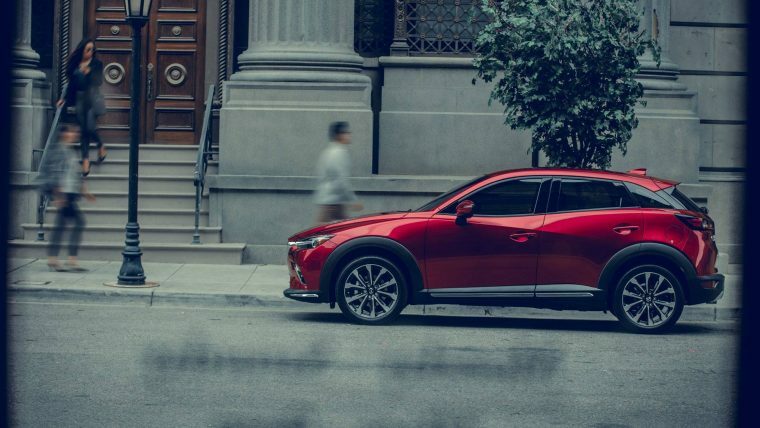 We think the 2019 Mazda3 is already awe-inspiring, but Mazda plans to show body kits for the Mazda3 and improve its sleek design even more. The company is going to reveal the Mazda3’s new look in the upcoming Tokyo Auto Salon show, an event dedicated to body kits and aftermarket parts. The Mazda3’s sporty design will be bolstered by a body kit consisting of a black front lip spoiler, a longer upturned rear spoiler, and black side skirts. While this might not seem like much, it fits in naturally with the sharp and streamlined design of the new Mazda3. It looks tenacious and lower to the ground, somehow creating an even speedier appearance than before. The hatchback version benefits most from the addition. Its backside seems balanced compared to before, and the lower vehicle profile puts it on par with its sedan sibling in terms of sporty prowess. Mazda isn’t stopping there, as the company is also supposed to reveal MX-5 Miata with a removable carbon fiber hardtop. Unlike other hardtop additions, this top follows the Miata’s natural contours to create a smooth transition. The black top offsets the rest of the red body and matches the custom paint design, producing a glorious appearance that’s sure to please any car aficionado. It’s unknown if these parts will be mass produced, but we certainly hope so. The subtle Mazda3 kit is likely to become a market staple since the Mazda3 benefited from similar packages on past models. The carbon fiber hardtop is a bit trickier though. The material is pricey, and Mazda has offered hardtops for racing drivers before, but not to the normal market. If it is mass produced, then it’ll likely be made from a more affordable material and available in standard colors. Maybe they’ll go into production at the new manufacturing plant in Alabama.